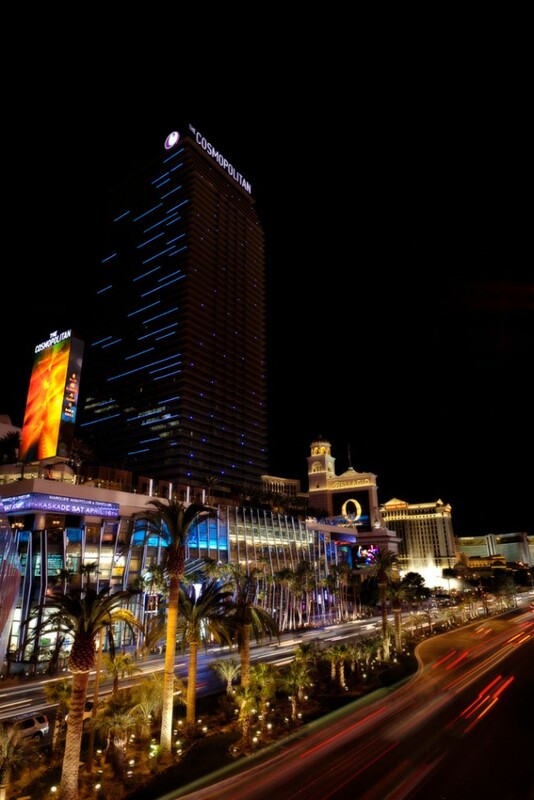 Prices for Vegas hotel rooms are booming. ..the month’s average daily room rate of $136.02, up 15.1 percent from a year ago, was at its highest level since the Great Recession. Strip rates were up 13.1 percent to $145.80 while downtown rates climbed 2.8 percent to $64.62. Visitation to Las Vegas inched up slightly in January…Monthly visitation hit 3.4 million, just 0.1 percent ahead of January 2014. 2014 had a record number of visitors to Las Vegas and that trend is expected to continue in 2015. More visitors in Vegas and less rooms available (with Riviera closing) is a recipe for higher hotel prices. (don’t forget to add resort fees, here’s a good list). 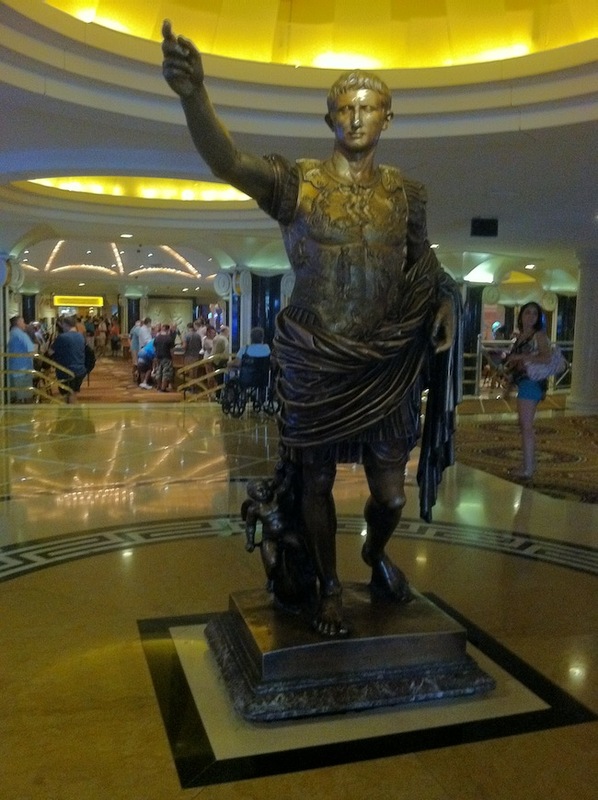 I recently started to work with the Caesars Entertainment affiliate program again. The ads are for other sites and EDGe Vegas will remain ad free with the exception of these Caesars Las Vegas hotel discounts. I’ll add a section to the side bar when there are sales like there are now. 25% off hotels in Vegas ain’t no joke if you pay for rooms at a Total Rewards hotel. If I come across any singulars Las Vegas hotel discounts I’ll probably just share on twitter or Facebook. I don’t want this to become a discount travel blog. Hotel rooms at The Venetian and The Palazzo offer the best prices among luxury hotels in Las Vegas according to the most recent Average Daily Room (ADR) information. The property’s (Cosmopolitan) average daily room rate of $273 topped other high-end properties. For example, Wynn Las Vegas and Encore reported ADR of $258, while The Venetian and the Palazzo reported a combined ADR of $211. Hotel room prices in Vegas are very flexible because they fluctuate between prices being advertised to the public and what’s offered to existing customers through players clubs. So you’ll see a wide range of prices for any hotel room in Vegas. The order of these hotels makes sense if you look at their popularity by younger customers who are a little less discerning when it comes to price. If you’re dropping $1,000 for a bottle of Grey Goose at XS or Marquee why not spend the extra money to crash at those hotels too. This is good news to me because The Palazzo is one of my favorite places to stay in Vegas for a lot of reasons. Suites – I love that all the rooms are suites. When I’m on vacation I love the extra room. I feel like I can actually sit in the room and relax as opposed to most hotel rooms which are about half the size. Also, 3 TV’s. Lagasse’s Stadium – Easily the best sportsbook in the world. Dining – The options for fine or casual dining are great and between The Venetian and The Palazzo there are almost 10 coffee places. 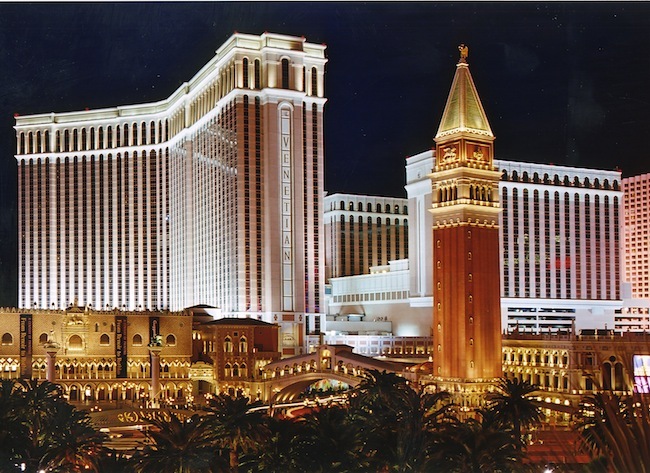 Casino – The Palazzo isn’t the most popular casino so it’s usually not very crowded. Much like my hotel room, I like having space in the casino. Atmosphere – While The Venetian is overrun with families The Palazzo isn’t as crowded and there’s enough space where you never feel cramped. It’s one of the most relaxing hotel casino combinations. I haven’t been to the Cosmopolitan all year until Easter Sunday (GASP!) so forgive me if this isn’t new. On the second floor between the sportsbook and restaurants towards Wicked Spoon there used to be a giant high heeled shoe that people used to pose inside of and take pictures. On my trip this weekend the shoe was gone and replaced with 6 dog statues in a circle. The statues are about 5 feet tall and were packed with people taking pictures. Unlike the shoe, which mostly appealed to women there were men, women, boys and girls huddling around the dogs. I have a soft spot in my heart for the Gold Coast. The Gold Coast was one of the first casinos I stayed at when visiting Las Vegas and it’s still one of the places I recommend people stay when looking for a cheap hotel rooms near the strip. Gold Coast is about to become a better bargain with new hotel and casino renovations. Contractors are putting the finishing touches on 400 refurbished hotel rooms at the Gold Coast. The rooms, which are expected to reopen in the next two weeks, feature new wall coverings, carpets, blackout drapes and furniture, including armoires, dressers and desks. The next phase of the renovation, scheduled to begin this summer, will include installing new carpeting in Gold Coast’s 87,000-square-foot casino and replacing all of its slot stands and chairs. Gold Coast has cheap gambling with quick drink service and the renovations to make the hotel rooms more modern and clean this is definitely a great place to crash. There is nothing fancy about the Gold Coast casino but it’s a fun place to play with decent food options. Gold Coast is owned by Boyd Gaming and its B Connected players club is connected with 6 other Las Vegas hotels and 7 others across the country so playing at Gold Coast will earn comps to use at a lot of different casinos. The B Connected app is an excellent combination of players club and hotel information. I can smell a low limit Pai-Gow night coming up soon! At the end of 2011 Hilton decided not to renew their license with the casino that’s been known as the Las Vegas Hilton for years. The owners decided to keep continuity with the name by calling the property LVH. Well, the LVH has new owners and may have another new name next year. Could the casino now known as the LVH wind up with the name Vegas International Casino + Hotel? American Casino and Entertainment Properties LLC (ACEP), which applied for a trademark for the name and accompanying logo, is in the middle of the month during which outsiders can register their opposition. This standard part of the process ends Nov. 22. Executives at ACEP, owned by an affiliate of Goldman Sachs & Co., declined to comment on what they would do with the name. “What’s in the public record is in the public record,” said spokeswoman Kathy Topp. If you’re familiar with Vegas history you might remember that this property was called Vegas International before becoming the Hilton. Back then it was home to a guy named Elvis.He’s kind of a big deal. 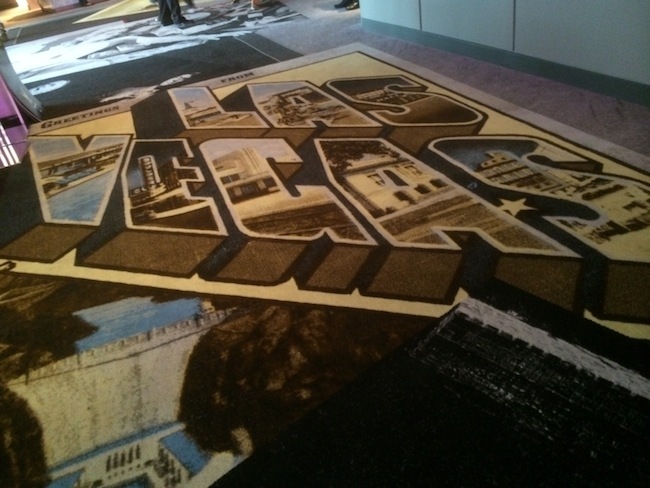 Renaming the hotel Vegas International and bringing back Vegas history may help the casino find some identity and a niche with older Las Vegas vacationers. The article mentions that many of the acts already booked at LVH would make sense with this possible vintage rebranding. If the LVH opts to adopt a version of its original International name, it would fit with an entertainment lineup heavy with acts that gray-haired guests can remember from when they were young. The current lineup includes impressionist Rich Little, the Doobie Brothers, a Rat Pack tribute group and an Elvis impersonator, reprising the hotel’s most famous headliner. LVH is a filthy lifeless dump of a casino that offers nothing besides a large sportsbook and something to do when taking a break from the Las Vegas Convention Center. This rebranding, along with a major deep cleaning and new ventilation, could help the casino continue to stay in business.